(NASHVILLE) – Norwood Elementary School students, Alison Brown and Paisley Davis served as pages for the Tennessee State Senate last week. Both students live in Roane County, Tennessee and are pictured with State Senator Ken Yager (R-Kingston), who represents Roane County. 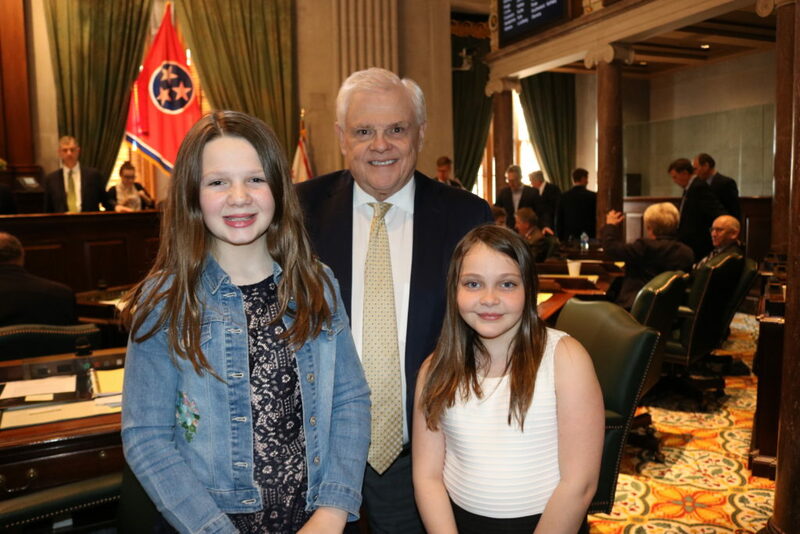 See accompanying photo of Senator Ken Yager (R-Kingston), center, with Norwood Elementary students Alison Brown, left, and Paisley Davis, right, on the floor of the Tennessee State Senate on Thursday, March 28th.